Kaz Breaks Into A Digital Jail On All New ‘Mighty Med’–Sneak Peek Clip!! Kaz searches for a flash drive, thinking it contains Oliver’s study guide for a test, but it turns out to be a digital jail storing a villain named Wi-Fi. When Kaz plugs the drive into his laptop, Wi-Fi enters the physical world and simultaneously pulls Kaz into the computer. 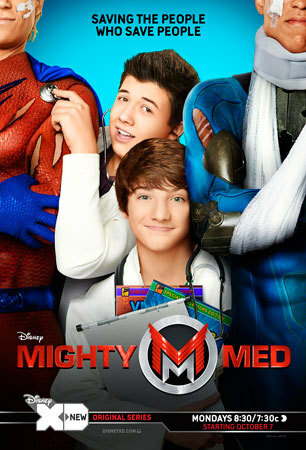 Debby Ryan is getting a ‘Mighty Med’ remix on Disney Channel next Monday! Watch the episode trailer below and see Debby channel her inner super hero! Go Debby, go!